So, amazon prime and hulu are now illegal? No one said anything about these services being illegal. Only that you have to pay GST on electronics goods. Nothing changes on physical goods. Sigh.... it isn't about "avoiding copyright" or piracy. It's about parallel importing product that you have paid a legitimate reseller for, and bypassing pathetic NZ offerings with their high prices and limited range. No different to buying a book or a DVD off Amazon. Nothing is getting stolen. You are still paying for the product. That's as I understood it listening to a tax consultant this morning. Geo ublock was Ok to get content not available here but not OK to bypass GST.. I certainly wouldn't want to be the test case for that! exactly. 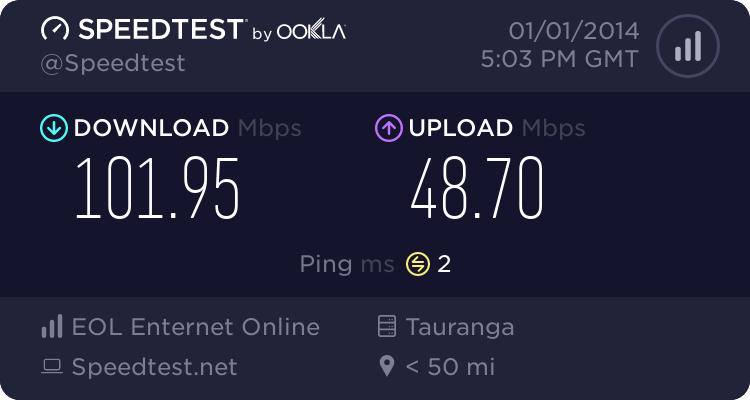 For netflix though, even on the grandfathered plan, it's close enough now to switch to NZ billing. So at least that one is fairly easy to avoid.....but I guess it'll be $13 + GST as I doubt netflix will absorb the price increase. Yeah, I'll probably just cancel my US Netflix and get an NZ one so I can pay the GST and avoid any potential hassle. Although the fact I signed up for it before Netflix was available in NZ should be reasonable evidence that it was for content not GST avoidance. Bloody NZ government breaking the bank at netflix by suggesting they charge gst. THEY CAN'T AFFORD THAT!! If you do switch to NZ payment and still use GeoUnblock or similar will you still be able to access USA site? ronw: If you do switch to NZ payment and still use GeoUnblock or similar will you still be able to access USA site? But this is what happens with everyone starts to use something, it pops up as a sound byte at a ministerial breakfast and it becomes legislation. The interesting bit is the enforcement and proving you did something specifically to bypass gst. The cost to the government (aka all of us) of going through that with a particular person will not be worth it unless they are doing it on a massive scale. Unless of course the idea is that if the website you bought it from does not have a gst option you are instantly guilty in IRDs eyes? Hah, I can see that flying..
Like a lot of laws with a "please do this or we will fine you (insert insane sum of money here)" clause, I think this will turn out to be don't ask don't tell. Meanwhile the Ministers who championed this assault on the fortress of technology demons will be given bravery medals, and a raise. What happens if I buy an electronic good from someone who doesn't have relationship with IRD ? Am I expected to make voluntary payments (how) or not use the service ? As Netflix now have an NZ operation, targeted and sold in NZ they will be expected to collect GST and pay NZ the GST they take. As a consumer, if I continue to buy Netflix from the USA or UK, the NZ government could take that as tax avoidance and prosecute me. Whether they will or not is a different discussion. I think it is more likely that they will go after Netflix for not stopping me. We should be asking the question whether this is the thin end of the wedge. If they are successful in making Amazon take GST for "accounts" held in NZ for electronic purchases (I'm presuming they are only talking about downloads) then it will only be a matter of time before the make the same requirement for physical goods. From the perspective of Amazon, the compliance cost will be huge (experience from the cost of the GST change in NZ) and they will likely look for other ways to stay "legal". For example YouShop/NZPost will likely become a collection agency for NZ GST where it is shown that GST has not been taken at point of sale. If Amazon actually say no to the NZ government, what are the legal powers that could be enforced?